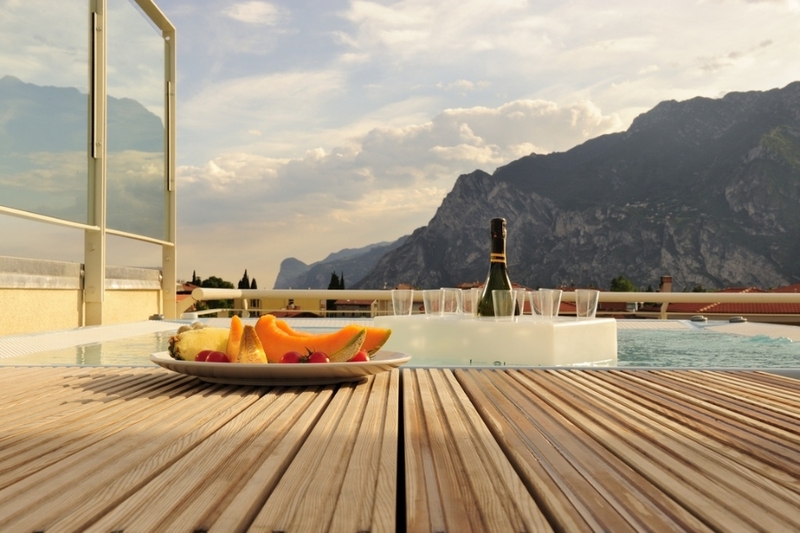 The Ecohotel of Nago Torbole is a three-story building located near the Garda Lake, in northern Italy. The footprint shape, as well as the whole building silhouette, is squared in order to optimize the ratio between internal volumes and external surface and therefore limit the heating/cooling losses. 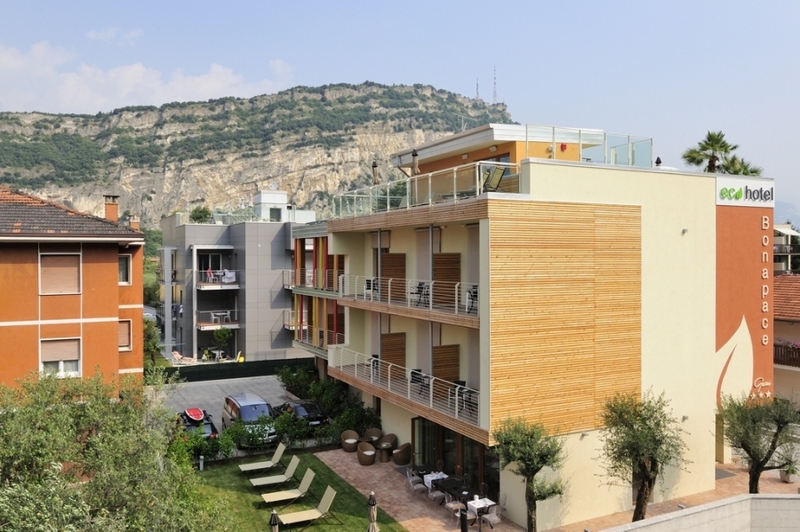 The structure above the ground floor is made of solid wood X-LAM panels, a new material developed in Trentino region made of cross-laminated wood panels with outstanding structural features (earthquake response, lightness, fireproofing resistance, etc.). All wood used for the building was certified under the PEFC standard. The whole architecture was designed focusing on the energy efficiency and sustainability features of the final building, thick insulation layers made of recycled material placed on the exterior façade allow final users to reduce heating and cooling loads increasing the global comfort. All plaster-covers used for the interior and exterior walls are made of natural components. Part of the roof is vegetated, in order to reduce the environmental and visual impact of the building, and the other part is covered by PV panels, supplying electrical energy to the whole building. 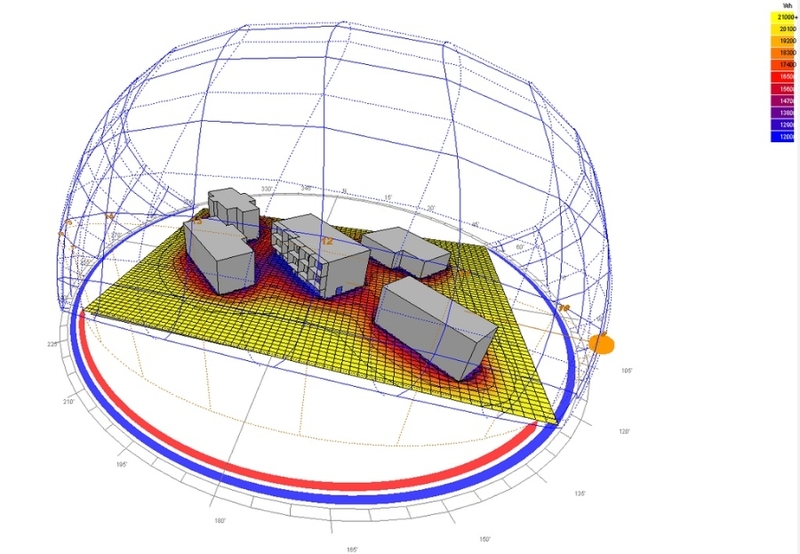 In order to optimize the comfort of the final users the design team developed a radiation analysis and evaluate the impact of each exterior opening on direct solar gains. On the basis of the obtained results, a system of movable overhanging shading devices was implemented for each opening of the southern façade and external windows were then assembled using a high-efficiency triple glass technology and air-leak-free connections. The result is a building characterized by very low operating costs, high efficiency performance and high comfort level for the final users. Eco-Hotel Bonapace - External View. Eco-Hotel Bonapace - External Detail View. Eco-Hotel Bonapace - Interior Space Snapshot. 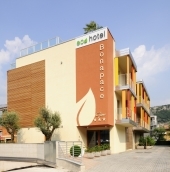 Eco-Hotel Bonapace - Solar Radiation Analysis. 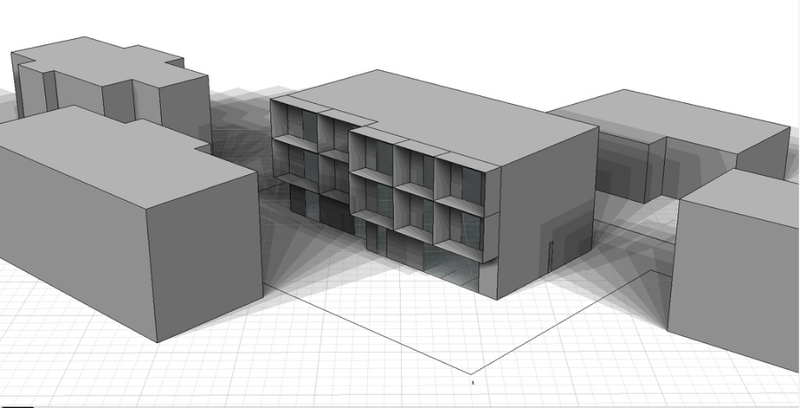 Eco-Hotel Bonapace - Shading Analysis at Urban Scale. Eco-Hotel Bonapace - Lighting Simulation Snapshot.